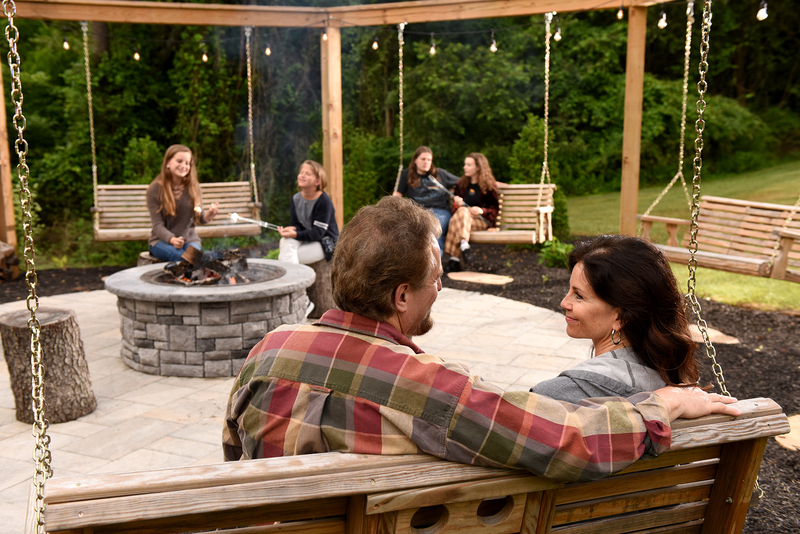 Custom fire pits are a great way to bring your family and friends together so you can all catch up with what’s going on in everyone’s lives. Uncork a bottle of wine or mix up some cocktails and relax. Beautiful, custom crafted fire pits add warmth to your outdoor living space, and let you take full advantage of those beautiful fall evenings. Once you’ve decided you’re interested in a custom fire pit, you have to decide where you want it. 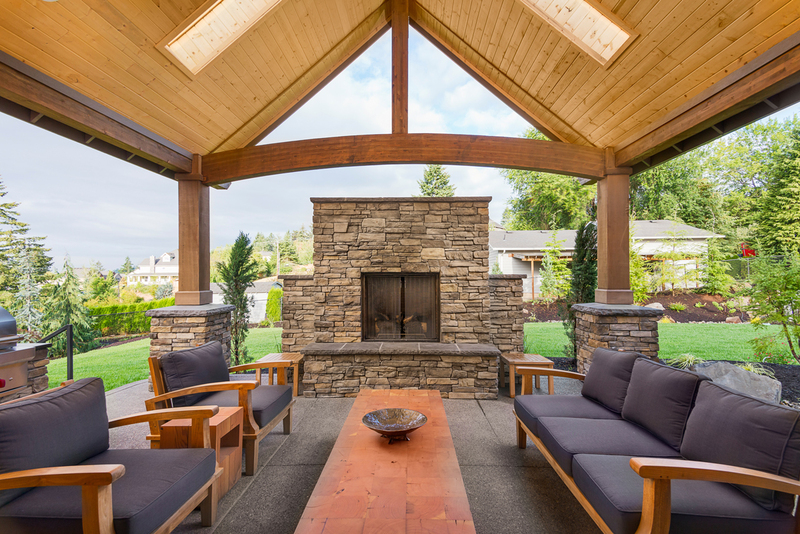 Many people have custom fire pits installed onto their existing patios, but installing your fire pit somewhere else on your property is also a great option, especially if you add built in seating at the same time. Where your fire pit is located will have an impact on your safety and enjoyment. You’ll need a large, level open space for the fire pit and surrounding seating area. The fire pit will need to be placed on pavers or concrete rather than a grassy area, to ensure that flames and sparks will not reach structures, plants or any combustible materials. At the core of any custom fire pit is the fuel you burn. 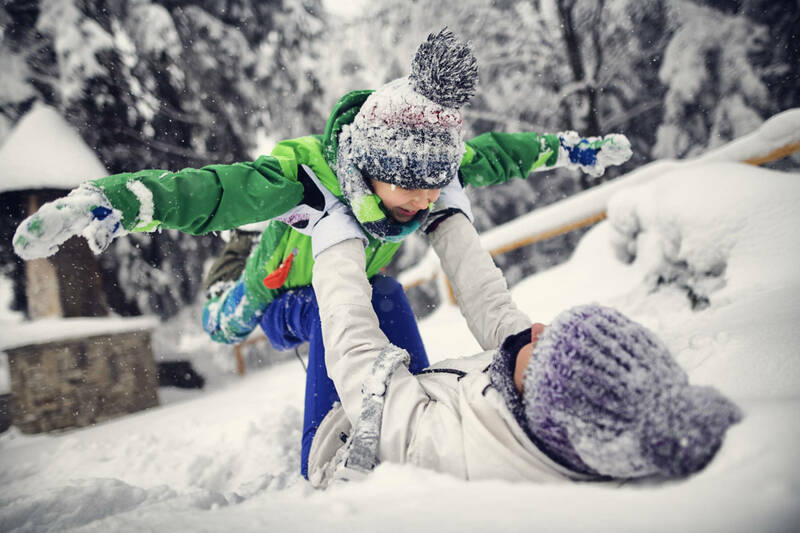 All will keep you warm in the chilly temperatures, but there are pros and cons to each, depending on your needs and tastes. We discuss some of the important factors you should consider below. A traditional wood burning fire pit is what most of us are familiar with. If you love the look, feel, and smell of a wood fire, this is probably the lowest cost fuel option. 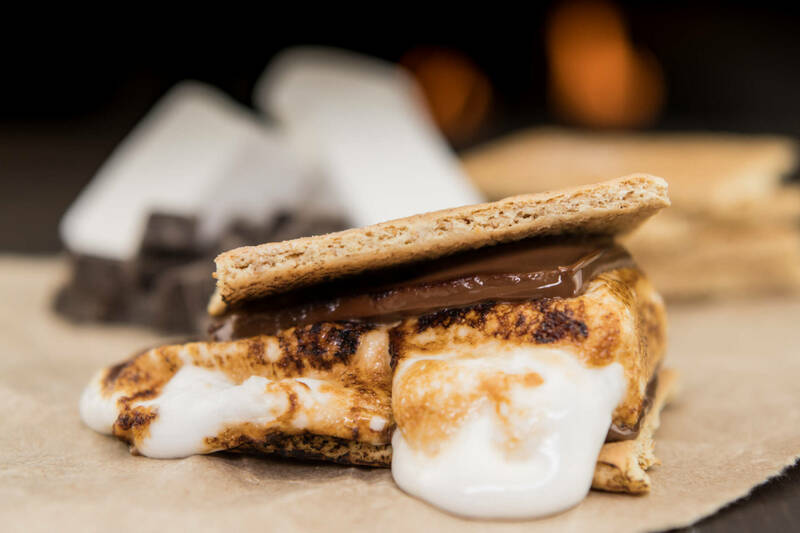 Nothing compares to the crackling of an open fire. A wood burning fire pit can be placed in a remote area of your property, as long as it is placed away from trees and is placed on a concrete or paver surface to prevent sparks from catching the grass on fire. However, a wood fire requires a lot of maintenance – you have to nurse the fire to get it going, and continue to stoke the fire and add wood to keep it going. And you can’t just turn off the fire when it’s time to go inside. Then of course you have to dispose of the ashes. Wood burning fire pits also give off a good amount of smoke, so if that would be bothersome, you may want to consider another fuel option. A natural gas fire pit burns much more cleanly than a wood burning fire pit, and you can just turn the fire on and turn the fire off with a single switch. No muss, no fuss, no keeping an eye on the fire. In addition, natural gas fire pits do not produce smoke or popping embers. If cost is a factor, you should know that the cost of a natural gas fire pit is more than a wood burning fire pit, due to the necessity of running a gas line to the fire pit. For this reason, a natural gas fire pit should most likely be placed nearer to your home, rather than in a remote area of your property. A propane fire pit is a great compromise if you don’t want a wood burning fire pit because of the maintenance and smoke, and you want to have it further away from your home than is feasible with a natural gas fire pit. Much like your gas grill, a propane fire pit burns propane from a tank. Since you don’t have to run a gas line to the fire pit, it is more economical than a natural gas fire pit. An electric fire pit of course runs on electricity from your home, so needs to be closer to your home. It’s basically a space heater spruced up to look like a fire pit, but there are no actual flames. There are a wide variety of artificial flame options with artificial logs. If you’re interested in adding a custom fire pit to your outdoor living space, you’ll want to get several estimates. Woodfield Outdoors would be happy to meet with you for a free design and installation consultation. Call us today at 443-299-6500 or use our contact form to schedule a free estimate.